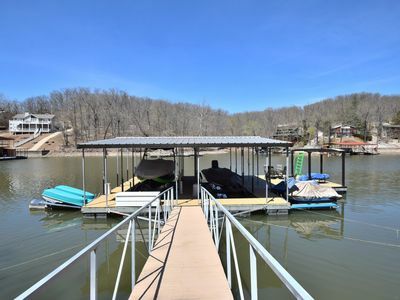 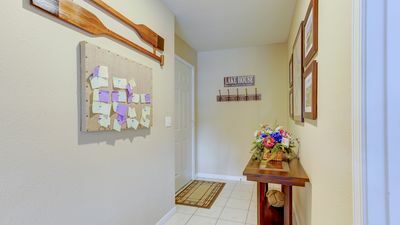 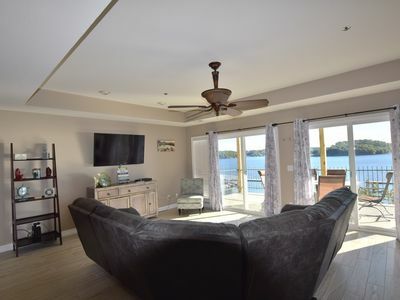 Outstanding 3BR, 2BA lakeside condo in small complex. 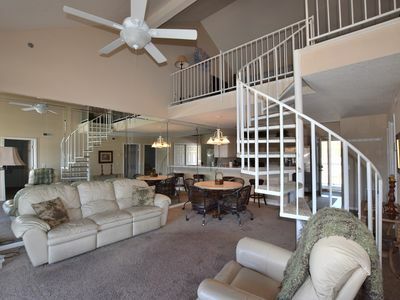 2nd floor from parking and 3rd flood from ground level. 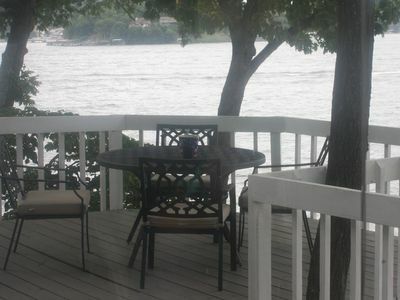 Large screened porch affords great view of the large cove and the main channel @ the 11 mile marker. 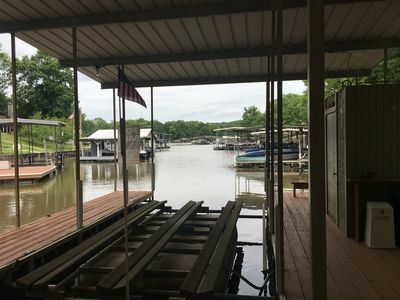 Elevator makes loading and unloading easy. 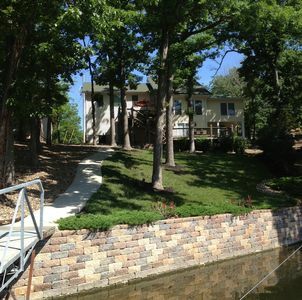 Lovely pool is only about 50 feet away and fishing can be off the sidewalk or dock. 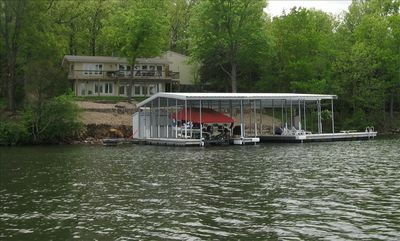 All you need is your swimming suit and food as everything else is furnished. 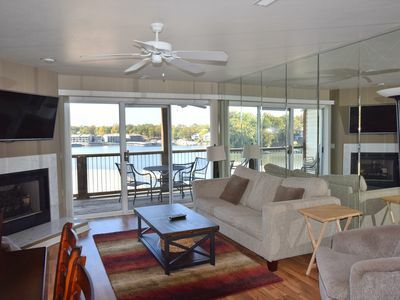 Parasailing, boat, and jet ski rental @ Bikini Pier which is next door. 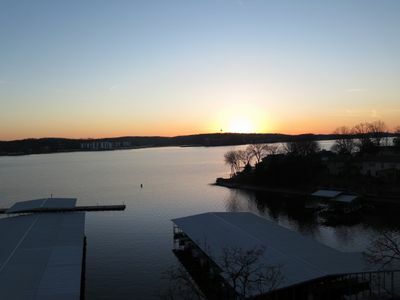 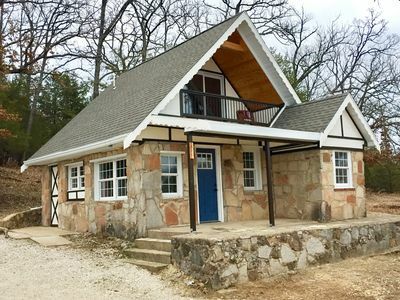 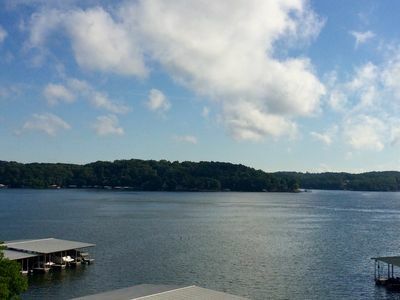 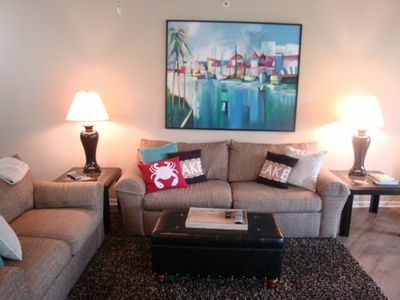 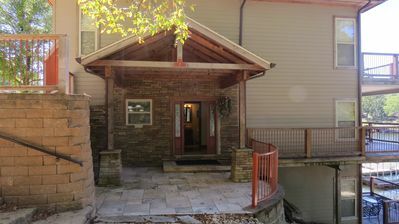 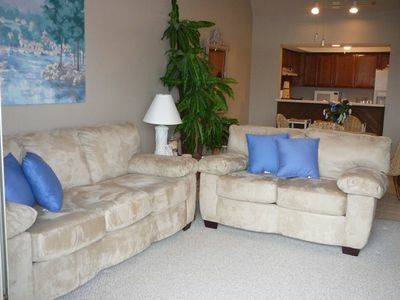 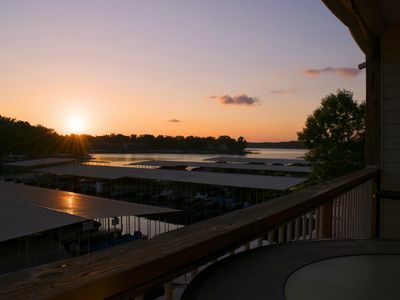 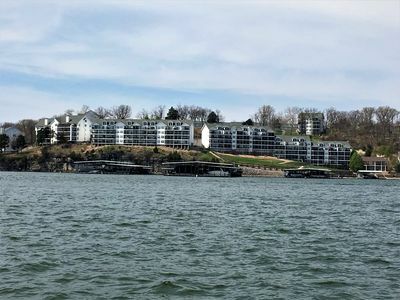 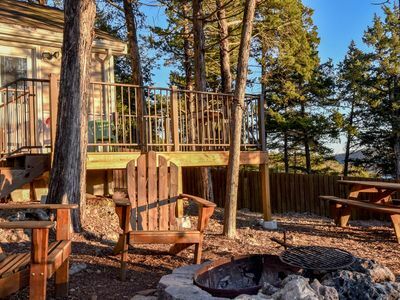 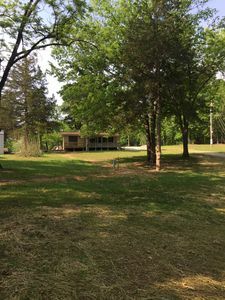 *FREE NIGHT* Ledges Lakefront 2BR Condo! 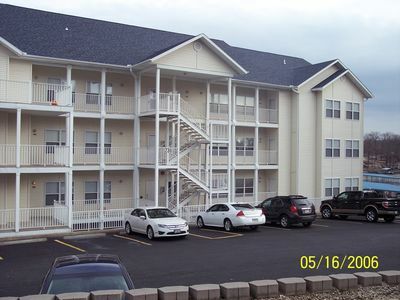 Walk-In Unit w/ WiFi. 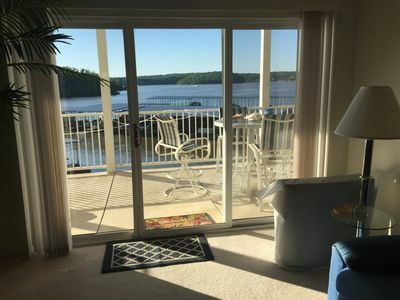 Beautiful 3BR Lake Front Condo ~ Your Relaxing Waterfront Home Away From Home!